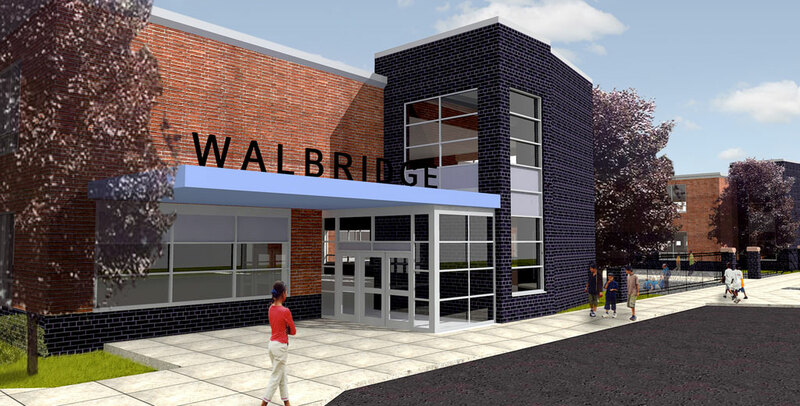 Walbridge Elementary School is a new K-5 school for 350 students constructed on the original Walbridge School property, a tight site in a dense urban residential neighborhood. 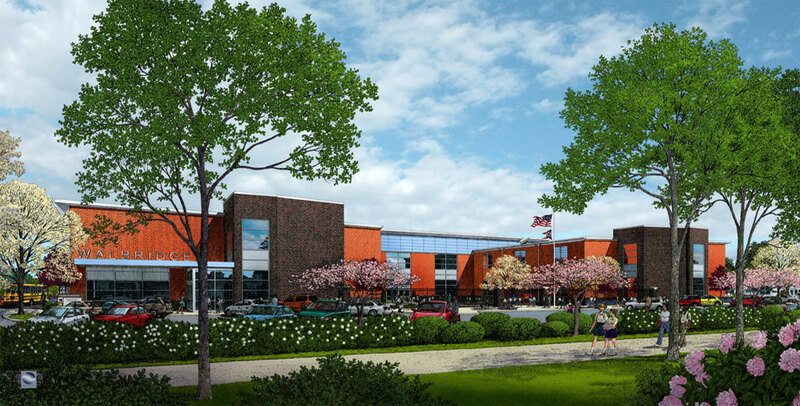 The 44,492 SF building is designed as a side entry, two story open courtyard plan which sits between two parallel streets. 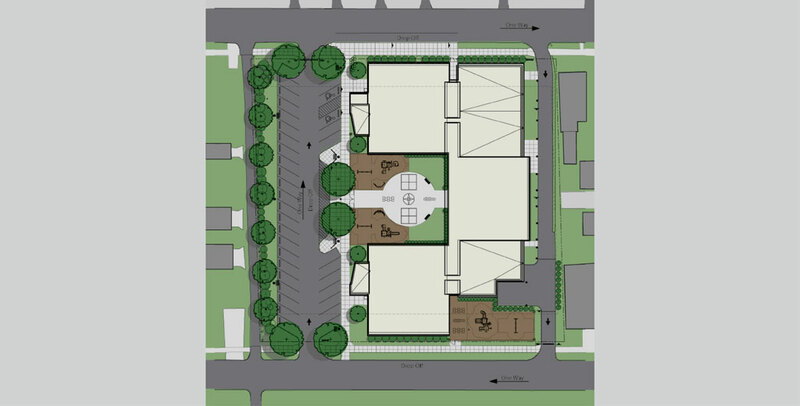 A major pedestrian sidewalk and landscaped rain garden cross connect the block on the West side of the complex, forming an entry edge along the parking area and courtyard garden. The central courtyard provides a welcoming civic space and garden playground as an Oasis in the neighborhood. 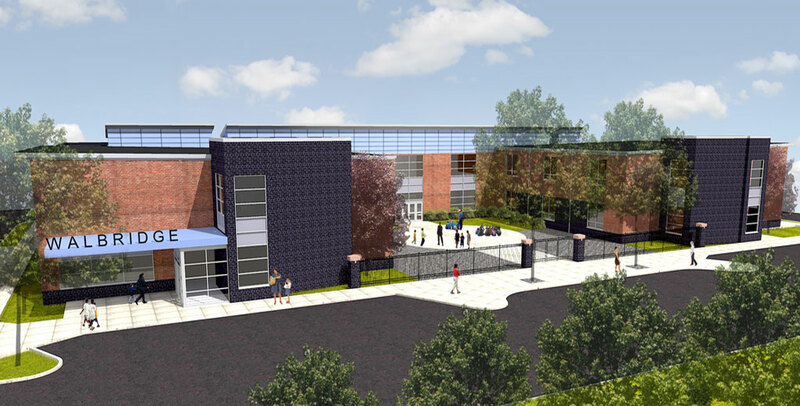 The classrooms wrap around and connect program elements such as administration, art, music, media center and lab, gymnasium, and student dining spaces. The design features a corridor bridge on two levels which links the North and South wings, and allows expansive courtyard windows to fill the heart of the school with natural light. The bridge bi-passes large interior spaces while looking into the gymnasium, and student dining space, and converging with interstitial two story spaces at junctures, corners, and stair towers. Black slate stair treads from the original school form a 200 foot long wainscot at the bridge wall creating dynamic stepping action. The vibrant colors of yellow and red are employed at the circulation bridge and stair towers to encourage wayfinding recognition of movement and location. Sustainable initiatives include orientation and incorporation of natural daylighting and storm water management through the use of rain garden islands and bio-retention chambers within the paved areas of the site.